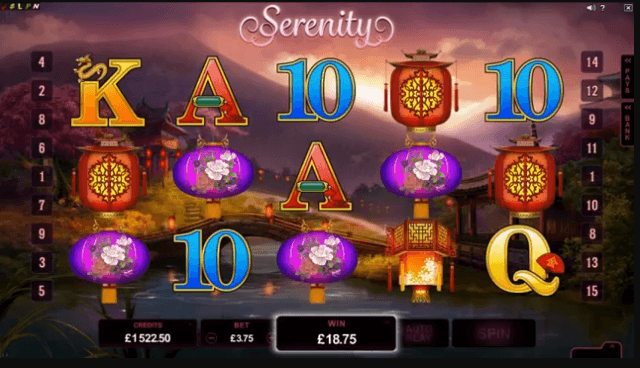 Surround yourself with tranquility and good fortune in this elegantly designed 5 x 3 reel online slot with attractive offers including winnings of up 120 000, a Lantern Bonus round, and 10 Free Spins, with each winning spin guaranteeing a 3x Multiplier! The Free Spins feature triples all winnings. The Lantern Bonus round offers a choice of up to 5 beautiful lanterns, each lantern harbouring a Surprise Prize.